Diets, so many of them. Which one do you choose? More importantly, which diet can successfully shed weight off you and keep it off– long term? Those are great questions and it seems that no one has the answer, since there are so many diets on the market.Indeed, new fad diets and diet books appear every year. And, which diet would be most beneficial for senior citizens? 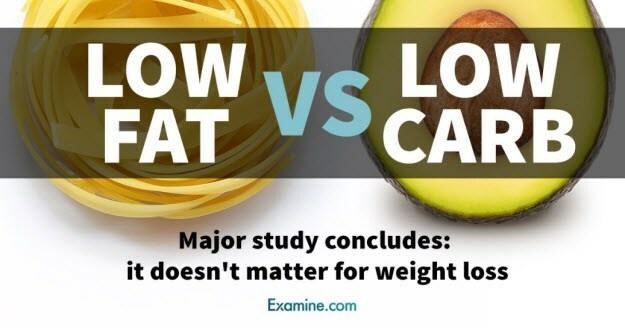 Two major studies last year provided more grist for the mill on this most argued topic, namely the low fat diet versus the low carbohydrate diet. Which is better? Diets: Is A Low Carbohydrate Diet The Answer? It used to called the Atkins diet, but it fell out of favor in part due to Dr. Atkins personality. But, recently, the Atkins diet, re-named the low-carbohydrate diet has enjoyed a strong comeback. The idea is that the refined carbohydrates in foods like white bread are quickly converted into sugar in our bodies, leading to wild energy swings and hunger. However, these study results shoule be taken with several grains of salt. For one, the study was done by an author of books promoting low-carb diets. Among 164 participants, it found those on low-carb diets burned more total calories than those on high-carb diets. The study did not say people lost more weight on a low-carb diet — and didn’t try to measure that. Meals and snacks were tightly controlled and continually adjusted so everyone’s weight stayed stable. David Ludwig, a lead author of the paper and researcher at Boston Children’s Hospital, said the study suggests limiting carbs could make it easier for people to keep weight off once they’ve lost it. He said the approach might work best for those with diabetes or prediabetes. Diets: Is A Low Fat Diet Successful? This advice had the opposite effect by motivating people to eat fat-free cookies, cakes and other foods that were are full of refined carbs and sugars. Low Carb or Low Fat, Which is Better? The author noted the findings are not contradictory. Instead, they suggest there may be some flexibility in the ways we can lose weight. Participants in both groups were encouraged to focus on minimally processed foods like produce and meat prepared at home. Everyone was advised to limit added sugar and refined flour. Limiting processed foods could improve most diets by cutting down overall calories, while still leaving wiggle room for people’s preferences. That’s important, because for a diet to be effective, a person has to be able to stick to it. A breakfast of fruit and oatmeal may be filling for one person but leave another hungry soon after. Gardner notes the study had its limitations, too. Participants’ diets weren’t controlled. People were instead instructed on how to achieve eating low-carb or low-fat in regular meetings with dietitians. This is not rigorous scientific protocol needed to run a study. Diets: So, Which Is Best? In the short term you can probably lose weight in a variety of ways. Eat only raw foods, go vegan,, or cut out gluten. But what will work for you over the long term is a different question. Researchers believe that there is no single set of guidelines that help everyone lose weight and keep it off. It’s why diets often fail — they don’t factor into account the many factors that drive us to eat what we do. The best course of action is try both diets, each one over two months and see which one works best for you. Remember, it’s not only about losing the weight, you also have to keep it off.